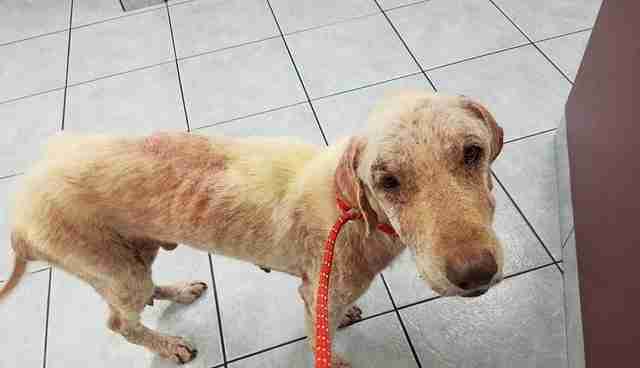 When someone found a dog on the side of the road, emaciated and unmoving, they assumed he was dead. 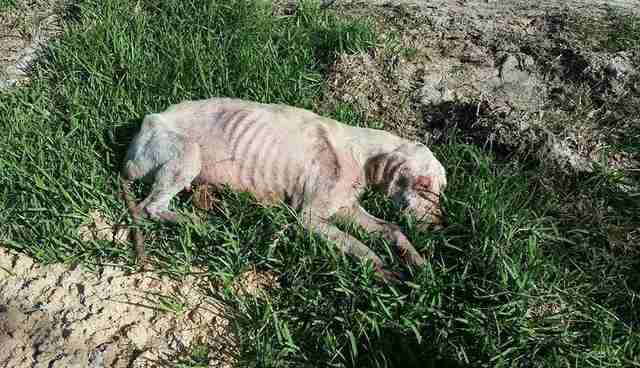 The person approached the poor dog - and that's when he moved, letting the person know that he was alive, but in trouble. 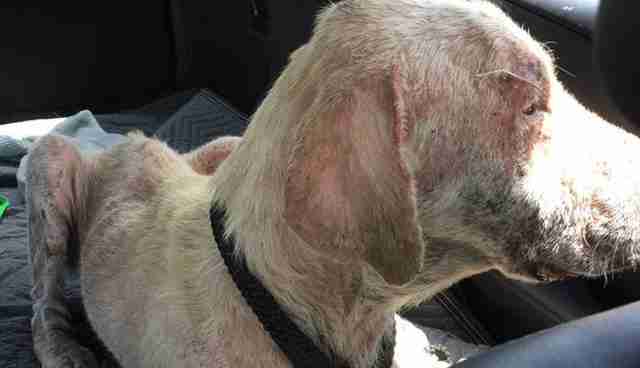 The person immediately called for help, and a local rescuer rushed to the scene to take him straight to the vet. 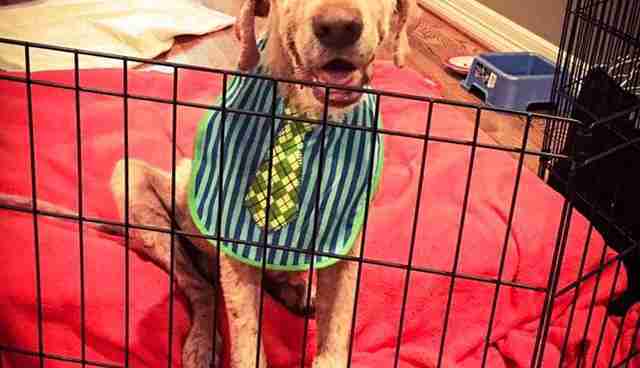 The dog, named Watson, was so weak that he barely noticed the people there to help him. "He didn't even get up when I approached him," Samantha, one of Watson's rescuers, told The Dodo. "I gently woke him up and put a slip over his neck and escorted him to my car." After being examined by the vet, it was determined that 10-year-old Watson had a whole laundry list of medical issues. 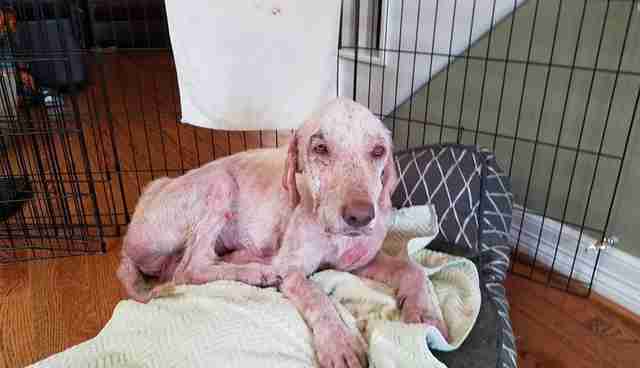 He had two different types of mange, missing teeth, heartworms and heart disease, and was severely emaciated. 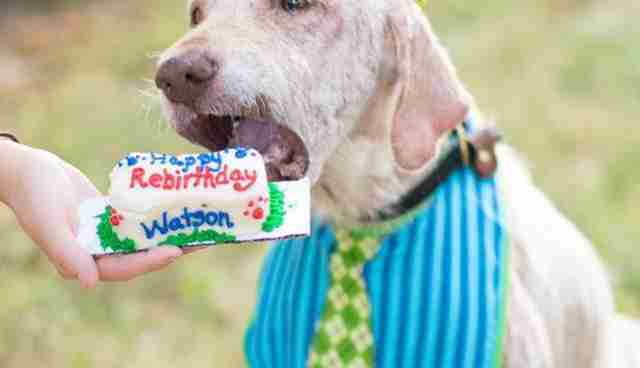 Due to his issues, it's assumed that Watson was probably kept chained up for most of his life. Despite how sick he was, as soon as Watson was safely at the vet's office and no longer all alone, he slowly began to show what an amazing dog he is. "At the emergency clinic he began feeling a little better," Samantha said. "He ate, drank and wagged his tail nonstop!" 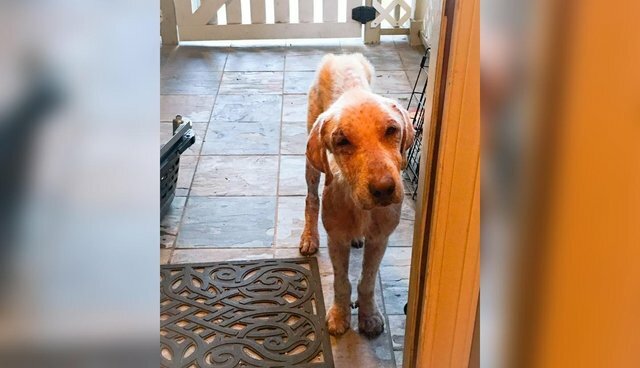 Watson was taken in by Houston K911 Rescue, which is determined to make sure Watson is happy and comfortable while he recovers from all of his ailments. "We aim to be the guardians that Watson should have had all along," Anna Barbosa of Houston K911 Rescue told The Dodo. "He did not have to live like this and he won't ever again! Only cushions and cuddles for our boy." Samantha, Watson's initial rescuer, stepped up to be his foster mom and care for him while he gets healthy enough to be adopted. When he first arrived at his new home, Watson was very unsure of what to do - as if he had never been inside a house before. 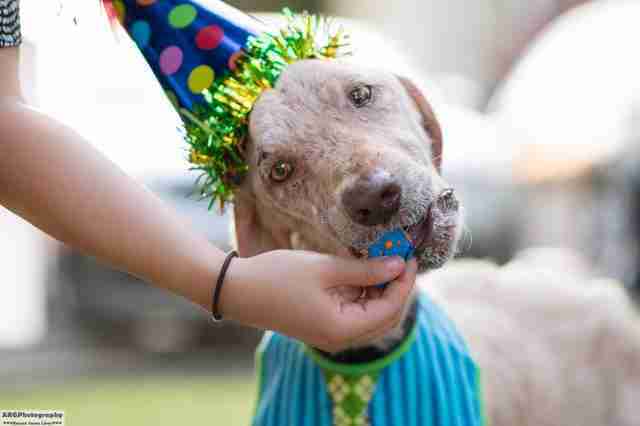 "At first he wouldn't want to come inside as if he were unsure he was allowed," Samantha said. "He also wouldn't use a doggie bed the first day." It took a day or two, but Watson has now realized that he's welcome and loved in his foster home, and is enjoying all of the comforts he's never had before. 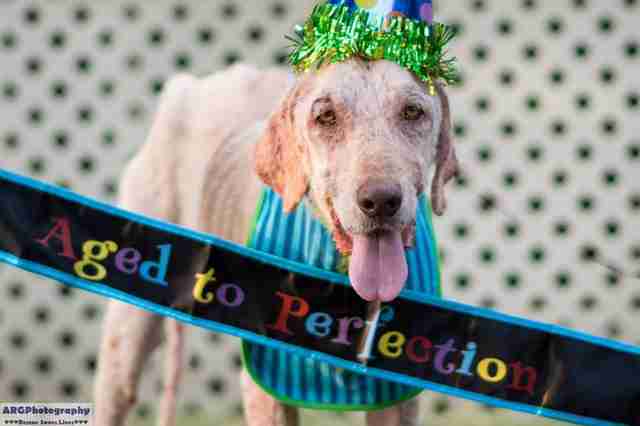 Watson has likely never been pampered before in his life, and so to show him how loved he is now, all of his new friends threw him a party, complete with lots of treats. "He couldn't wait to eat every cookie and cake his friends made him," Samantha said. "He had a green icing mustache after that everyone couldn't stop laughing at." Watson won't be up for adoption until his condition is a little more stable, though a foster-to-adopt situation with a family who can handle his medical needs is possible. For now, he's just enjoying his new life. "He has shown the world that it's never too late to live your dream," Samantha said. If you'd like to adopt a pet of your own, you can check out Adopt-a-Pet.com to get started.